When it comes to transporting your larger loads, Hard Cases understands that there’s value in comfort, portability, and convenience. 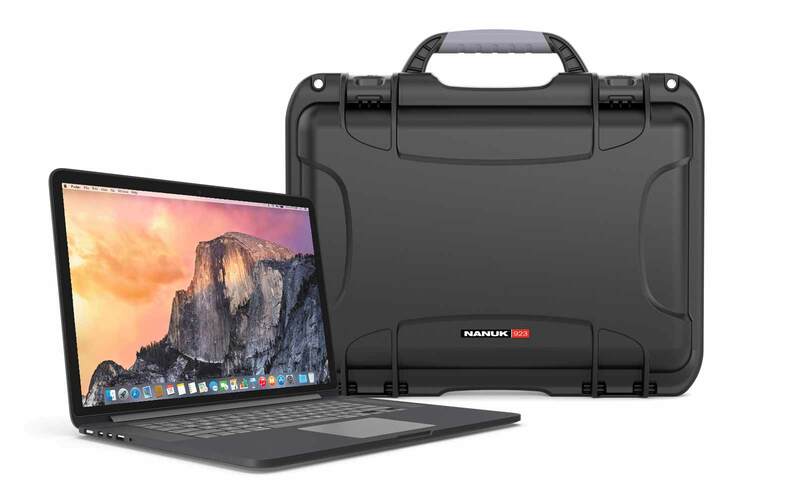 If you’re looking for a hard case that will keep your possessions secure, without the headaches of heavy or cumbersome transportation, our line of wheeled hard cases is your perfect solution! 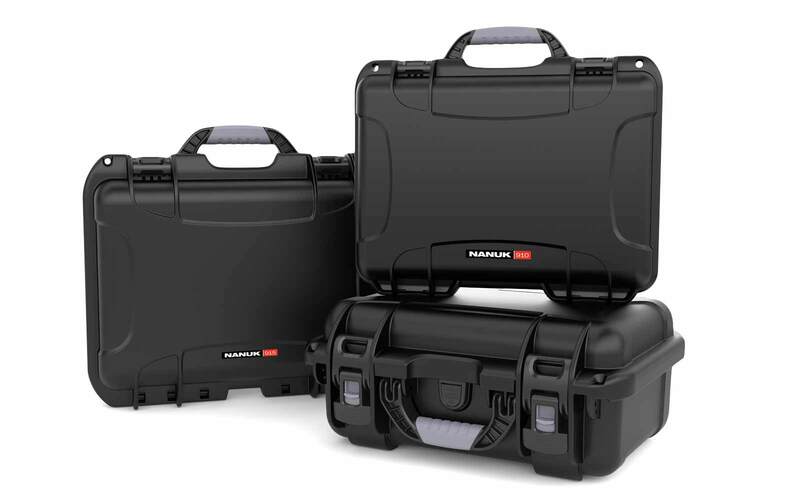 What do our wheeled Nanuk cases have in common with your biggest travel suitcase? They both boast retractable handles and polyurethane wheels. But don’t let their similarities fool you. 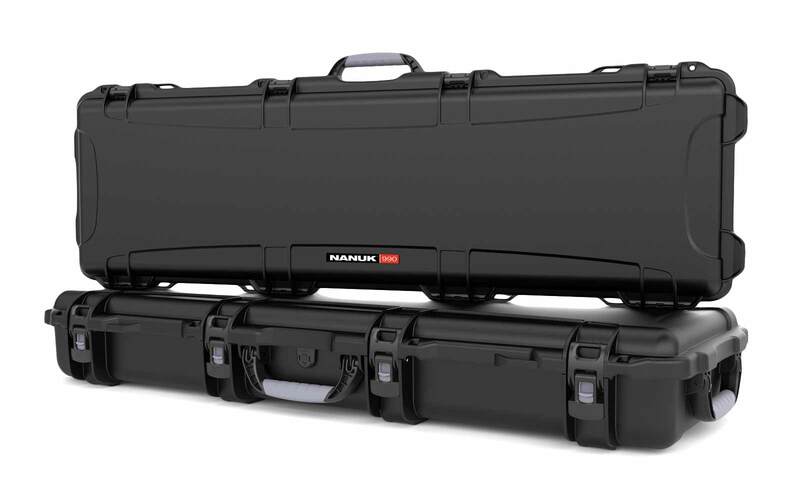 You’ll feel a lot more comfortable traveling with a wheeled Nanuk hard case than you would with a typical suitcase. 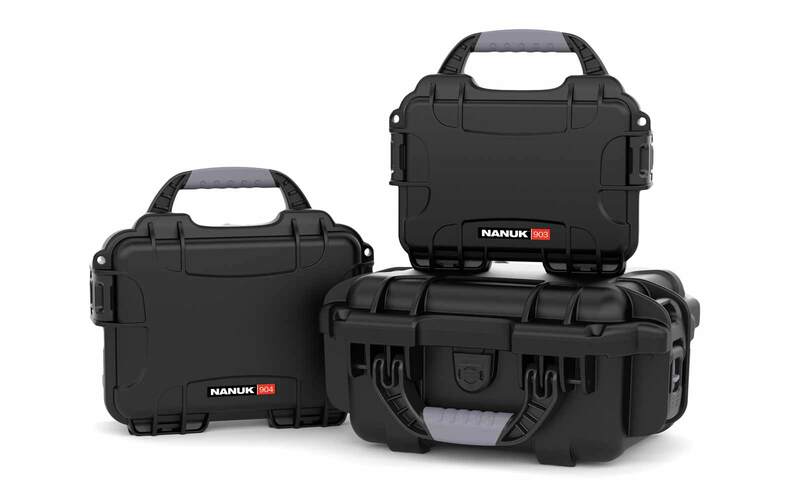 With crushproof, waterproof, dustproof, and theft-proof design, your Nanuk case will keep its cargo safe, no matter what. Need to make sure your fragile quadcopter arrives safely at your shooting location? Put it in one of our wheeled hard cases, and it will be ready to fly (and film) upon arrival. Need to get your expensive team equipment from the airport to your hotel? With our cases, you won’t need brute strength to transport your heavier valuables. Just pull out the handle, and let the wheels do the rest. What makes our cases with wheels perfect for high-risk hauling? 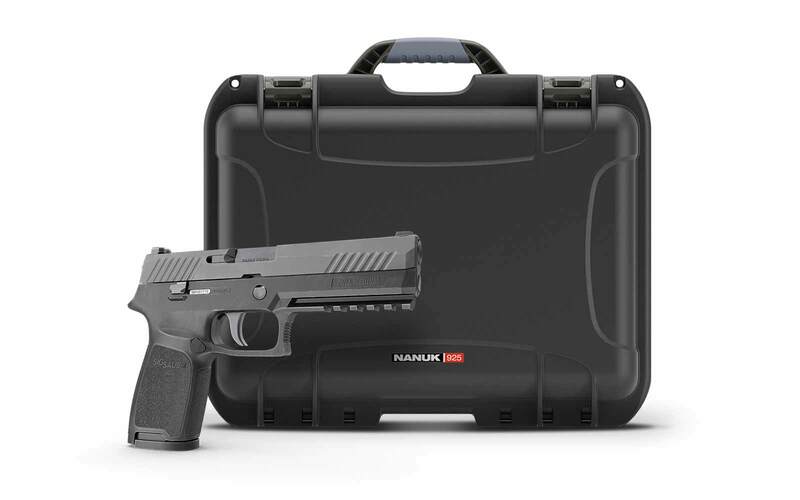 Fully customizable protective interior options, so that you can transport whatever you want. If it fits inside the hard shell, you can perfectly tailor the protection to your item. A PowerClaw latching system that won’t pop open during transit. Add an optional TSA certified pad lock for added security! Convenient polyurethane wheels and a retractable handle for convenient transportation. 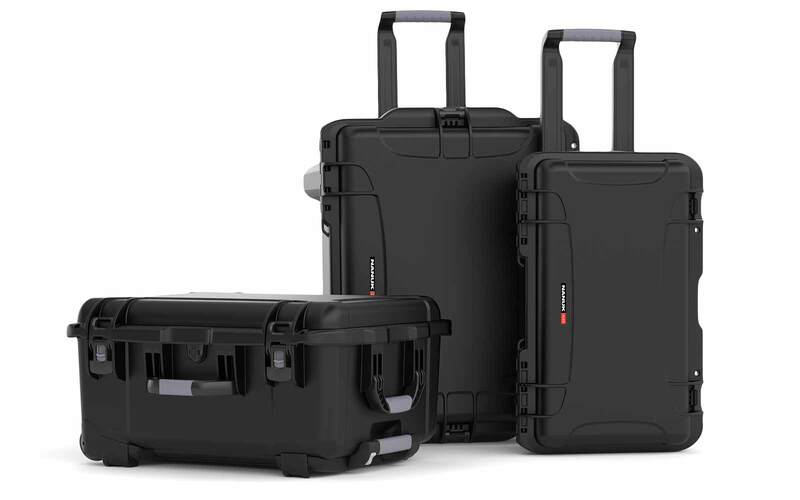 Our rock solid wheeled hard cases provide convenient transportation for checked baggage, heavy equipment, photo strobes, large batteries, quadcopters, and a variety of other equipment. With fully customizable pick-N-pluck pre-scored foam, you can adapt our protective cases to any of your stowing needs. That’s a guarantee! If you frequently travel with large high-value items, you know that it can be a pain to haul around a heavy hard case. You need your travel cases to be light, easy to use, and fully equipped with wheels and a retraceable handle. And obviously, it will be a lot easier to feel comfortable on your next trip if you know that your equipment is safe inside one of our waterproof, dustproof, shockproof, and theft proof hard cases. 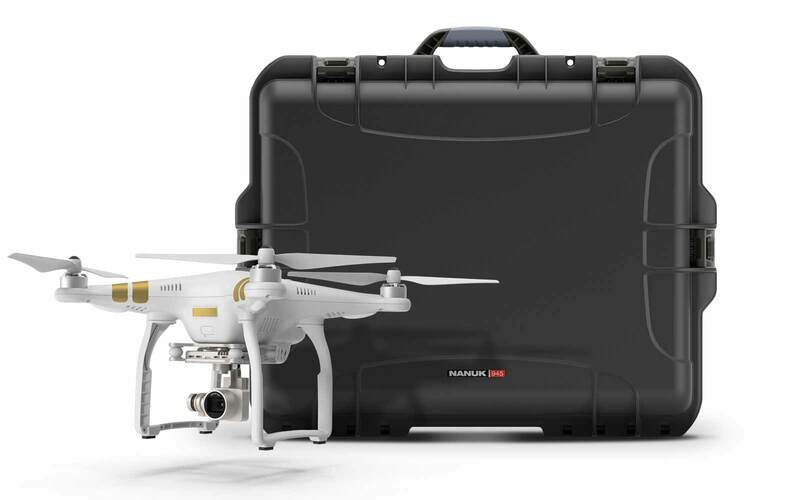 Available Models Include: Nanuk 935, Nanuk 950, Nanuk 950 DJI Phantom 3 Hard Case, Nanuk 960, Nanuk 990, and Nanuk 995. You don’t need to sacrifice convenience for protection. 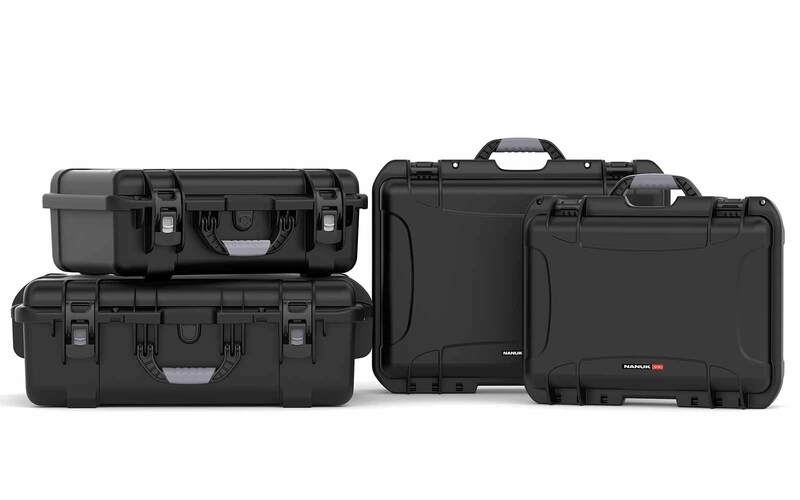 Try one of our high-quality wheeled cases to get the best of both worlds! To see more sizing and feature options, click here to explore our full selection of Cases with wheels.